93% of all online activities begins with a search. Being listed as one of the top ten in the organic SERP( search engine results page ) is a sure way that SEO works to boost a companies visibility online. It helps a website to dominate in the international and local markets to reach customers across the nations. It helps to expand the market farther more than one would expect which therefore becomes advantageous to the particular holders of the website. It is one of the most effective and affordable strategies to use when one chooses to work with qualified professionals. The specialists ensure that one has the right SEO and design packages for the intended firm so that one does not spend money on stuff that is irrelevant. This makes it cheaper for people with companies to use it since it is cost effective. It is obvious the more people visit a company’s website, the more reliable customers it attracts. This becomes a better method to ensure customers flow into their particular company. At long last, the sales will increase and therefore it is able to fulfill its objectives. People are always okay with the first search results. Yes that’s the way to beat your competitors! This criterion optimizes websites by making it a way of dissolving a firm’s competition. Web users rarely peep through websites by its name but instead they trust search engines as the lenders of last resort. It has therefore become a search engine first result page race and one immediately goes to the top of the listings based on how their website is optimized for search. 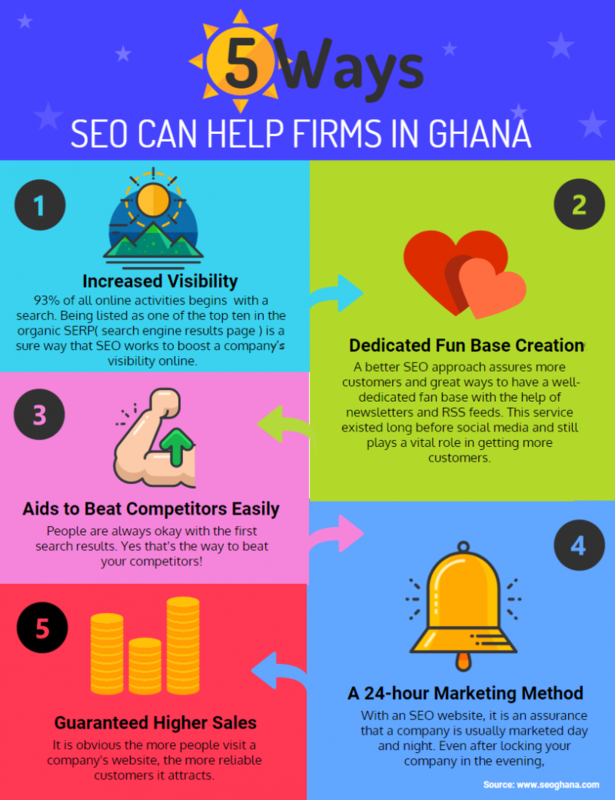 This is guaranteed by the help of search engine optimization Ghana. Most business holders use this strategy to fulfill their companies’ mandate. With an SEO website, it is an assurance that a company is usually marketed day and night. Even after locking a company in the evening, the SEO website still works giving the firm an advantage of the 24-hour market. Over time many developments occur in the internet sector. Search engine industry changes fast from time to time in the world. Specialists help a web page to stay synchronized that when there is the latest development then it becomes an advantage to the entire firm. It is a continuous process and it is always advisable to hire a dependable SEO company to always obtain advice so that a webpage does not miss any opportunities for development. A better SEO approach assures more customers and great ways to have a well-dedicated fan base with the help of newsletters and RSS feeds. This service existed long before social media and still plays a vital role in getting more customers. Firms make it a method to communicate with people through social media marketing to collect newsletters and feeds when people subscribe.SEO websites have a slot where new people enter emails and subscribe to collect views and feeds. By and large, the above discussed are the commonly obvious benefits of search engine optimization Auckland. Businesses without SEO websites should be challenged and obtain it from the professionals to enjoy the advantages. 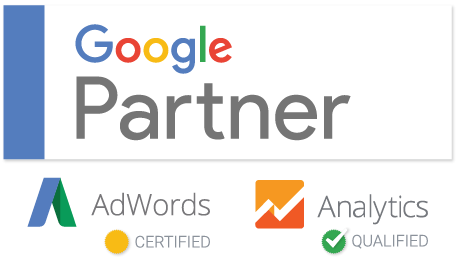 Are You Blowing Your AdWords Budget?